concerning me for some time. problem as much as it is to promote a particular effort at solving that problem. professional and the subject of investigation. somehow unscientific to be involved with them. They are unavoidable. discussions of income and equity issues (CTMTA, 1995). to assessment that starts from scratch is needed. There are several reasons for this. hypotheses; test hypotheses; generate laws) is the best/only way of generating knowledge. process is conceptual and so is in place well before data collection. patterns and provide infrastructure accordingly. needs of the young, old, female, and poor. through a South African case study. In this paper I focus more on values than power issues. Some may argue that efficiency is a valid goal for transport infrastructure investment. benefit analysis. These are explored below. turn eroded efficiency benefits (Goodwin, 1997; Behrens and Kane, 2004). throw up philosophical questions when considered in a developing world context. benefits the poor. Is this right? The case of women is particularly interesting here. schemes be promoted if life were given a higher value in cost-benefit analyses? equally. However, women are over-represented as non-workers. From CSIR (1998), a value of R391 861, which at an exchange rate of 6.5R to the US$ gives $60286. may include aesthetic and environmental considerations. How to value a landscape? ‘prices’, in the light of rapidly changing societies and politics, is remote. approach, but it does attempt to address the criticisms raised above. onerous and demanding to complete meaningfully? have a full formal evaluation of alternatives. suggested that ‘time’ should be added as a sixth resource.  an intention to be clear, readily understood and time-efficient. the needs of the poor including, of course, women.  emphasising links between policy and household decisions. Oxfam, and the UNDP. London: DfID. measure of economic efficiency, as measured most often by the CBA. Promote or impact on other social resources? Overall, does the intervention promote or harm the sustainable development of social resources?  would be clear, non-academic, and practical. the role which transport investments can play in this – both negative and positive. impact groups were considered separately. outputs from the tables is being developed. interest anyone involved at a project level. be in line with the higher-level metropolitan values. the education objective given for the project. which in turn impacts people’s ability to socialise, take exercise, and travel freely. South African assessment framework guideline. are inadequate. I hope this paper has gone some way to helping in that task. provided a useful review of the CBA. Engineering and Control (27) 9. Consulting and the US Environmental Protection Agency. issue on Induced Traffic. Transportation 23 (1), February. 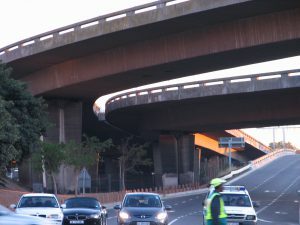 CTMTA (Core City of the Cape Town Metropolitan Transport Area). 1995. Guidelines for conducting the economic evaluation of urban transport projects. reflections. Planning Theory and Practice 5 (3): 283-306.
and travel forecasting. London: Sage. Hodge, R.A. and Hardi, P. 1997. The need for guidelines, in Hardi, P and Zdan, T.
review. Proceedings of South African Annual Transport Conference, Pretoria. Transport Research Group Background Paper. project appraisal. Transport Policy 5(1): 1-7.
and Control (19) 1: 32-35.
process. CSIR Project report PR 91/415. Vasconcellos, E.A. 2003. Inclusion of social benefits in road transport planning. in Cape Town under political transition. London: Routledge. in a city that they are truly proud of. (in the online version further information is given from the City Plans). 16 All policy documents current at 8 March 2006. 17 Source: The Draft IDP Review 2005/2006 [ for eThekwini] available online at http://www.durban.gov.za/eThekwini/Municipality/policy/policy/idp/idp2005.pdf. lawful, reasonable, accountable and procedurally fair. providing the public with timely, accessible and accurate information. written reasons for decisions taken, which can be explained and justified. economic productivity, environment, people  changes in other non-quantifiable assets such as natural environment. boundaries, and increase freedom of movement. From a sustainability perspective this must be balanced with the need to preserve the environment.